New Irish men’s elite cyclocross champion Darnell Moore has said he was surprised and delighted to take the gold medal. 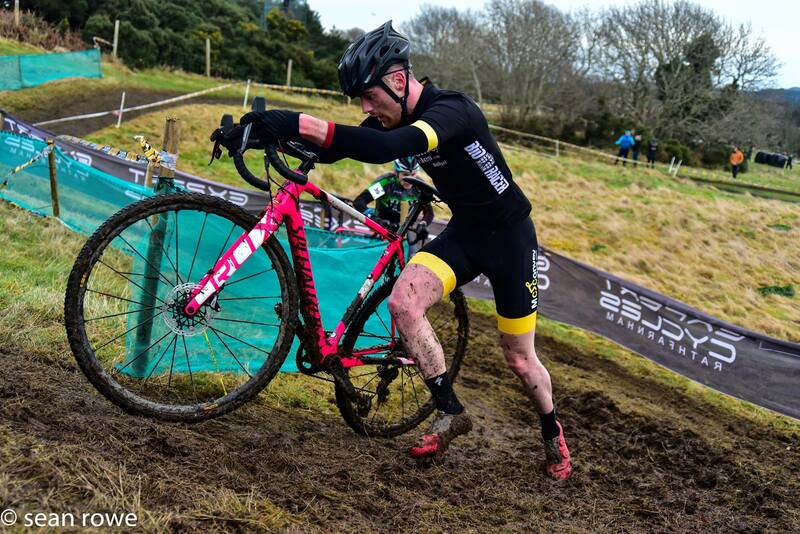 The Caldwell Cycles man had a slow start in Glencullen Adventure Park, Co Wicklow. But his early calm approach paid dividends. He would get back to the head of the race before the halfway point. And as the business end of the contest arrived he was out front alone with early pace setter David Conroy (Scott-Eurocycles). In the final section of the penultimate lap, of seven, Moore made his move. And once he decided to go he distanced Conroy for an impressive win. “It felt unreal,” he said of taking the chequered flag to claim his second elite Irish title in a matter of months. Moore claimed the National Hill Climb Championships in October. Back in May he took the big one; the Shay Elliott Memorial. “I didn’t think I could have won today. I hadn’t been training really specifically for it,” he said. Conroy took up the early pace making and he paid for that later. Also in the early running were Gareth McKee (Banbridge), Richard Maes (Killarney CC), Graham Boyd (McConvey Cycles) and Glenn Kinning (Kinning Cycles). Darnell Moore got off to a slower start and drifted back a little to around 10th place. However, he was just about ahead of the large bunch of riders behind the fanned out top 10 to 15. And from the front it was Conroy who would press hard on the opening lap. Those closest to him fell away one by one as Moore came through. And once he caught Conroy two races played out; the one to decide gold and silver up front and to decide bronze behind the leading pair. Former champion David Montgomery (Unattached) filled 3rd place for a time. But he was closely tracked by Boyd, the eventual bronze medal winner. Next came Kinning and Dromara’s Barry Kellett who has enjoyed some great form of late. 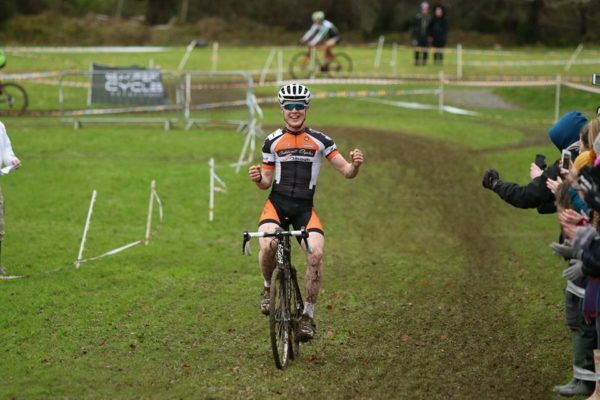 McKee was next, followed by Niall Davies (Biking.ie). But up ahead, while Moore and Conroy went toe to toe, it was the former who would prove too strong in the end. He pressed clear on his own to win by what was a comfortable 16 seconds in the end. Underlining that this was a two-horse race out front was the gap to the next riders home. Boyd took bronze some 2:12 down on the winner, with McKee and Montgomery coming home in quick succession. “I got a decent enough start, I didn’t panic,” said a delighted double national champion Darnell Moore. “David Conroy went hard from the gun but I never panicked. I rode my own race and picked off a few riders. 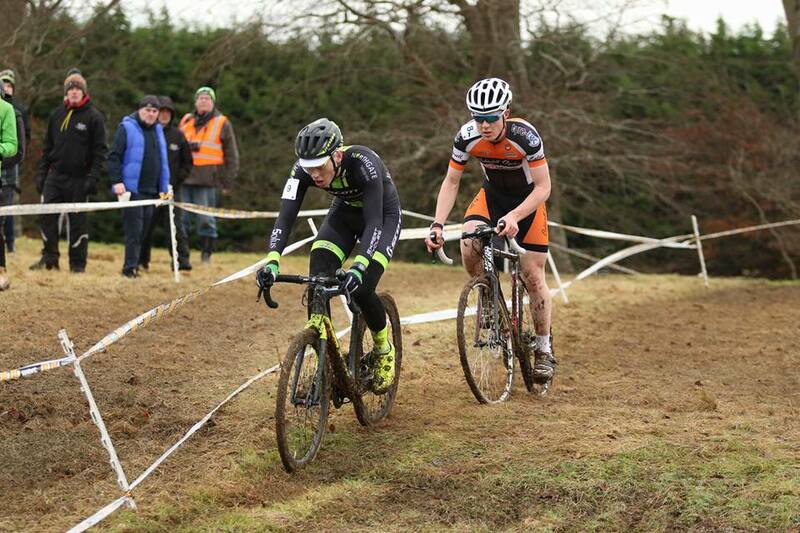 “I came up to Conroy and McKee at the very top of the course on the first lap. Gareth seemed to have a bit of bother with his bike and never saw him again. “Myself and Conroy just keep each other going; ding dong from then on. And the gap went out straight away. “I never felt under any pressure at any point. I had one of those days where not one mistake was made. “With around a lap and a quarter to go I made my move up a small drag by the pits.